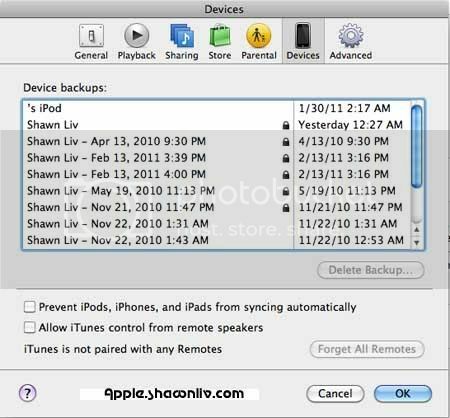 Here, the common method for ya to delete the backup on iTunes. Open your iTunes and Click on -> Preferences -> Devices tab -> Backups. Highlighting the backup you wish to delete and hitting the Remove/Delete button. I’ve switch them on & off several times but jux couldn’t get back my contacts, msges, & pics. Most likely they r permanently gone rite??? in your Mac (~Library/Application Support/MobileSync/Backup) or on a PC (c:Documents and SettingsApplication DataApple ComputerMobileSyncBackup).